I was in dire need of a good way to visually store my ribbon stash, and when I saw this storage idea in a recent issue of Creating Keepsakes, I knew I’d found it! 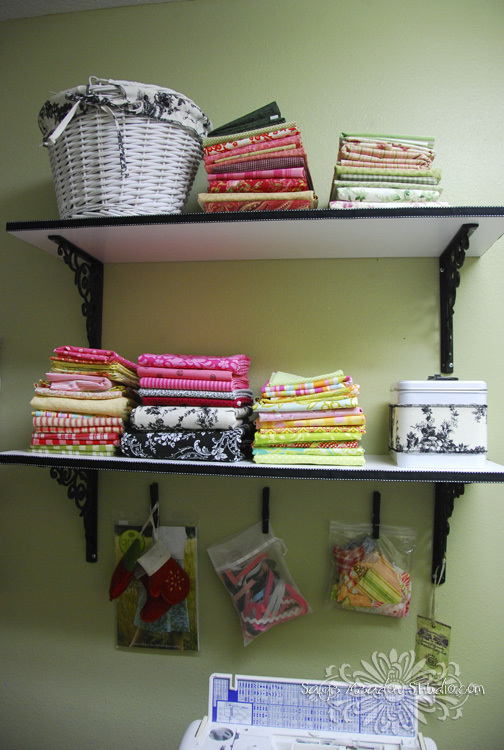 Additional shelving…a girl can never have enough! Ooh… I like those shelf brackets. 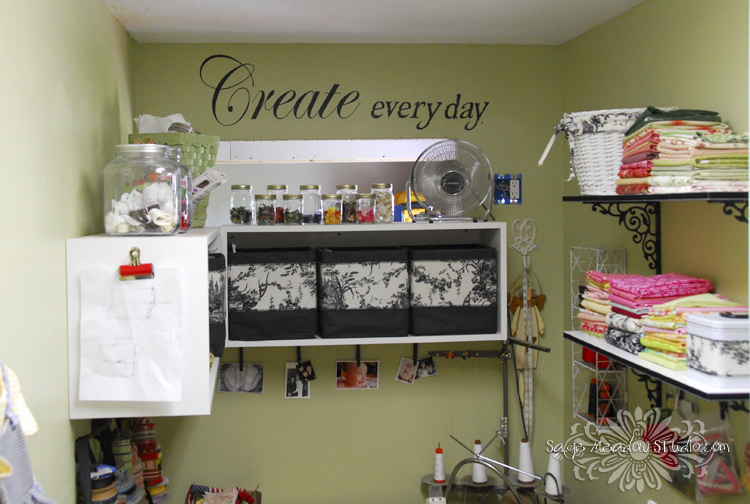 I am redoing my sewing corner/room too. I hope it turns out as nice. What is the ribbon on and how is it hanging? I LOVE that idea!! 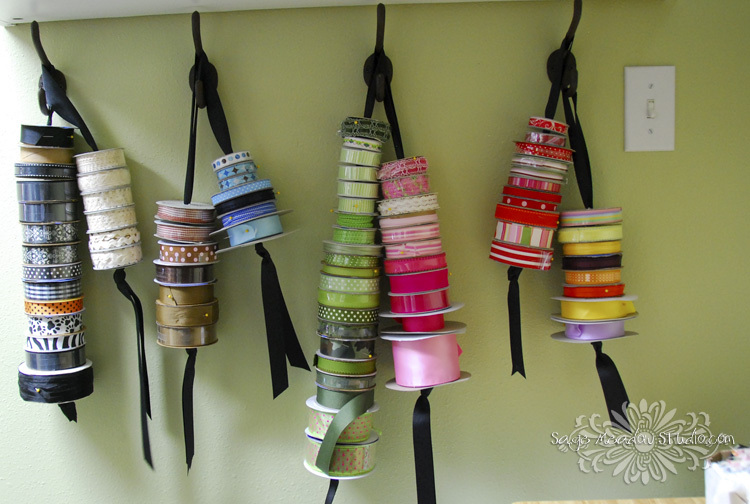 I always have such a difficult time keeping my ribbon neat and orderly. That is a great idea that I would like to try. Thanks for sharing!